Twenty-five years ago, Victor Barragan practically had to beg people to buy his avocados. Low-fat diet trends combined with an American law prohibiting the import of Mexican avocados made for a localized niche market. Of course Victor and his fellow producers knew that avocados were full of irresistibly smooth, buttery goodness, but it took the rest of us a few decades to catch on. Victor is a third generation avocado producer in the Mexican state of Michoacán, where a majority of the world’s avocados are grown. Michoacán stretches from the southwest central highlands to the Pacific coastline, with the mighty Sierra Madre Mountains cutting across the state. This range of altitudes and microclimates, combined with nutrient-rich soil and consistent temperatures allows avocados to flourish throughout Michoacán at different times, meaning we can indulge on this flawless fruit year-round. Victor grew up in Uruapan, the self-proclaimed avocado capital of the world (well technically, capital mundial del aguacate) where his grandfather helped pioneer large-scale avocado production in the ‘70s. This brought packing companies into town that buy, size, pack and distribute amazing avocados from the area. According to Victor, the best of those companies is Calavo, whom Victor sells his avocados to. 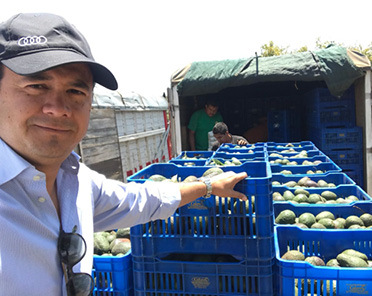 And while we don’t direct source our fruit from Victor, most of our avocados do come from Calavo, Sunterra Vice President of Operations José Lomeli tells me. José also grew up in Uruapan, and knows a thing or two about avocados. Some of that comes from time spent helping Victor’s family on the commercial farm (José and Victor have been friends since junior high school) and some comes from helping with his own family’s avocado trees. Avocados are so ubiquitous in Uruapan that most people have at least a tree or two; José’s family had a small farm just outside of town to keep a steady supply of guacamole on the dinner table. 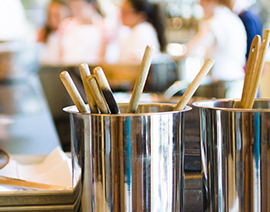 “I love avocados,” José declares unabashedly in the middle of MARKETbar on a Friday afternoon. But he admits they’re not always easy to grow. First of all, it can take up to 15 years for a new avocado tree to even start producing fruit. 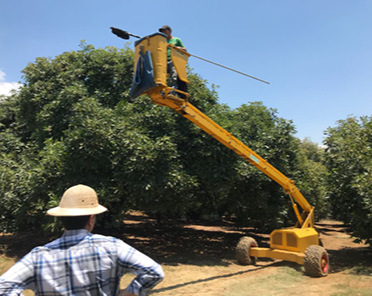 Then if you want extra large avocados (which of course you do, bigger avocados have more of that luscious pulp and an extra-rich flavour), you have to prune the trees so there are fewer avocados for the tree to nourish. You end up producing fewer avocados, but they are ridiculously big and tasty: those are the kind of avocados on Sunterra’s shelves. José’s favourite way to eat avocados is still his mother’s guacamole recipe, but recommends avocados simply sliced then sprinkled with lime juice and sea salt. 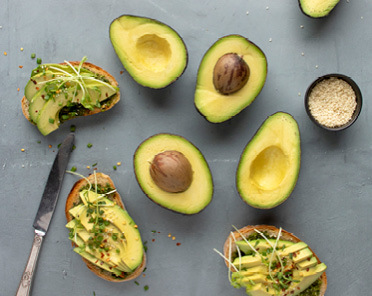 Check out our avocado recipes like mango guacamole, avocado smoothie and mole pulled pork tortas.